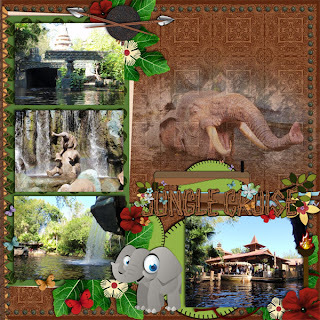 This is such a fun kit to scrap your layouts for Jungle Cruise, Tiki Room, Indiana Jones, AdventureLand and all sorts of other tropical jungle themes. There's 15 papers with a blend of browns, greens and yellows. Her collection of elements includes tiki statues, safari hat, spears, ferns, torch and some adorable animals and butterflies. It rocks the jungle!! Included in this kit is a brown twig alpha to make your own titles. 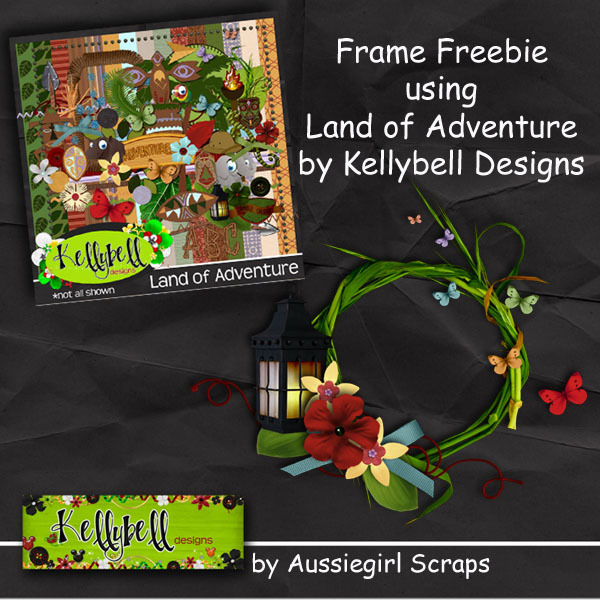 If you'd like some titles already made, Kelly has designed a set of 6 word art sayings that will make an awesome addition to your jungle pages. 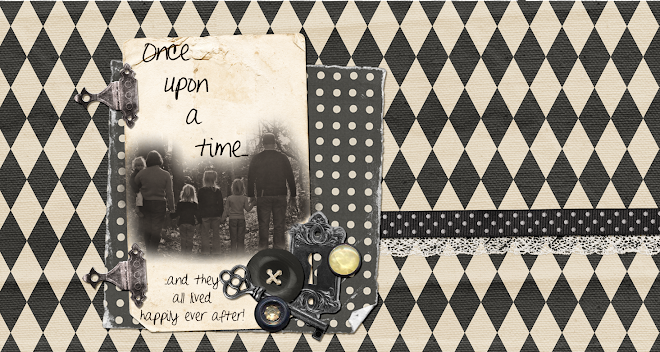 Kelly's kit and word art pack are on sale this weekend only for 25% off. 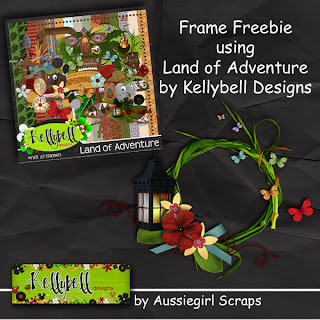 Stop by Kelly's Store to purchase these and to browse all her wonderful designs. This kit is so versatile. Here's what I created with 'Land Of Adventure'. Kellys Store today so you don't miss one! Have a totally tribal day!! ALSO, check back on Sunday for exciting news AND A FREEBIE from one of my good online friends.